Governors of the World Bank and IMF will gather in Washington DC from 7 – 9 October, 2016. The civil society policy forum (CSPF) will take place from 4 – 7 October. An open meeting for CSOs with Bank and Fund staff to provide feedback on the CSPF will take place on 7th October at 12:30. The annual meetings take place as the dust settles after the World Bank controversially selected Jim Yong Kim for a second term as president. While seeking more funds, the Bank’s governance and role in a quickly changing world is on this year’s agenda. Civil society will continue to challenge the Bank’s indiscriminate push for the private sector and call for clarity about next steps after the heavily criticised safeguards review. The IMF has yet again had to backtrack on over-estimating economic growth, and seems complacent about the unexpected economic and social challenges to developing countries, with sub-Saharan Africa and the Middle East and North Africa looking particularly vulnerable. This year’s annual meetings take place in the shadow of the hasty and opaque selection process for the next World Bank president, which caused a stir within civil society and saw both current and former Bank staffers up in arms, but the Bank’s shareholders were suspiciously silent. The unanimous nomination by the Bank’s board of current president Jim Yong Kim for a second term, after a risible three-week nomination period, was spearheaded by the US at record speed and promptly followed by other shareholders. As expected, after the board ‘interviewed’ the sole nominee, Kim was reappointed for a second term beginning July 2017. Whether the speedy process was prompted by the fear of a potential Trump becoming the next president of the US and getting involved in the selection process, or simply by Kim’s expression of interest can be debated, but the fact that the US retains its stranglehold over the position governed by the ‘gentlemen’s agreement’ with Europe is clear. Less clear is why other shareholders followed suit. The current unopposed selection of Kim is no doubt a step back from the previous (still flawed) 2012 process, which at least saw an African and a Latin American candidate ‘competing’. But is the lack of nominees from the developing world evidence that, after years of frustration with the lack of reform at the Bank, the South is now more focused on developments at China’s Asian Infrastructure Investment Bank and the BRICS New Development Bank, both launched since the last presidential selection process? Or are they perhaps content to go along with the US leadership and Kim’s tenure given that, compared to 2012, most of the emerging powers in the BRICS have other more pressing concerns, so kept their powder dry in this battle? Some insights might be provided as the Bank’s governors are expected to discuss its new “dynamic formula” for shareholding during the meetings. An earlier report hinted at disagreements on how the formula should balance GDP and contributions to the International Development Association (IDA, the Bank’s low income country lending arm), so the question is whether and how this has been resolved. The governors are also expected to discuss the future of the Bank, through its secretive “Forward Look” process. Despite a year long process not a single document has been shared with the public to date, but secondary information confirms that it looks at “three interrelated challenges of the changes in the external environment, the WBG’s ability to adapt to these changes, and its financial capacity”, including the compulsory flirtation with the private sector as a key partner. Directly following the annuals occurs the third meeting of IDA’s 18th replenishment round, further testing donor countries’ belief in the Bank and in IDA’s ability to deliver. This time a new private sector window is on the agenda, again confirming the Bank’s belief in the private sector’s ability to act as a development partner. Never mind recent scandals ranging from Volkswagen to Libor, to the well-documented experience of the negative impacts of the Bank’s private sector arm, the International Finance Corporation (IFC) support to financial intermediaries. Moreover, anticipating donors’ reluctance to donate, IDA these days accepts loans and is now all set up to borrow on the capital market, too. But how will an increased focus on loans impact on poor countries’ already strained balance sheet? Civil society will be sure to press for a response on concerns raised about IDA. Civil society is also expected to continue challenging the Bank’s push for public-private partnerships (PPPs), as the Bank and IMF review the tools used to develop the debt sustainability of borrowing countries. In addition to questions about the equity, costs and potential contingent liabilities of PPPs, the danger they pose by incentivising governments to take their spending off-balance sheet will be in the spot light. With the ‘migrant crisis’ foremost on the minds of European countries and the Bank’s increasing focus on fragile and conflict-affected states, the Bank is working to justify its ‘added value’ of expanding into related areas, such as forced displacement, however, civil society remains wary of the Bank’s capacity and incentive to work effectively in these complex environments. Again, the Bank’s strategy relies on ‘leveraging’ private sector investment with a focus on the IFC, regardless of the IFC’s dismal track record in client selection, the use of financial intermediaries, and the number of new complaints filed with its accountability mechanism, the Compliance Advisor Ombudsman. New problem cases are expected to be brought to light during the annual meetings. After a fraught four-year process, the Bank’s new social and environmental framework, replacing the current safeguards, was approved in early August. Despite the lengthy process, civil society remains unconvinced and continues to accuse the Bank of “diluting” its responsibilities and the protections afforded to communities by the framework. Lots of details are yet to be clarified, not the least the Bank’s commitment to consulting on the guidance notes. Moreover, given that development policy lending was never included in the safeguards review, now could be the time to put this big loophole back on the table. 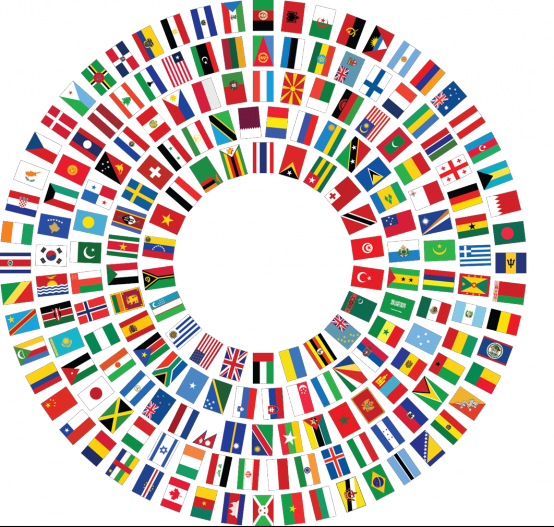 The IMF has released the usual few chapters of its forthcoming World Economic Outlook (WEO) and, yet again, the Fund is sounding the alarm over the global economy. One could ask why this seems to be such a constant surprise to them? Since 2009, the WEO has consistently over-estimated future economic growth. At some point you might think there would be some sort of enquiry to see if the IMF was just incompetent or biased … oh hang on, that’s just what the IMF’s Independent Evaluation Office (IEO) published in 2014. The IEO found that the IMF’s forecasts in the preceding decade “tended to be optimistic in high-profile cases characterised by exceptional access to IMF resources; these cases represented over 80 percent of the dollar amount of IMF resources disbursed.” Perhaps time for a follow-up evaluation to check whether the lessons the IEO gave the Fund have been learned, or even listened to? In any case, it seems the IMF keeps sounding the alarm – but rather quietly and unsurprisingly it is not being listened to. The other side of the coin of poor economic growth is disproportionate pain for developing countries, especially unexpected economic challenges. This is where the consistency of the IMF is rather absent, and one could question whether the IMF has yet put two and two together and realised that their continued surprise at the economic struggles we have been enduring for the best part of a decade might also be down to their unwillingness to abandon a mantra of strict fiscal deficit management. The Guardian reported that in the just-released WEO chapters the IMF is advocating more “growth-friendly” policies, but crucially they only encourage “an expansionary fiscal stance where fiscal space is available”. Looking at recent cases in sub Saharan Africa suggests that for the IMF fiscal space is one of those things like winning the lottery – it only happens to other people. This is a concern given yet more states are turning to the Fund, and expect more announcements while ministers gather in DC. In particular this could focus on the Middle East and North Africa (MENA) region. Since April’s spring meetings there are new IMF deals in Jordan and Tunisia, and the prospect of a new deal in Egypt that has been discussed for many years and we could we see an announcement next week. The ITUC’s statement to the annual meetings points out that the MENA region is set to become largest recipient of IMF lending, overtaking Europe. As we highlighted last December, the IMF’s role in the region raises major social protection fears. ITUC recalled that “Tunisia’s IMF loan programme that ended in December 2015 promised to extend a ‘well-targeted social safety net’ to compensate higher prices for the poor due to the phase-out of a universal subsidy programme. However, social spending was actually 14 per cent below the floor [agreed with the Fund]”. The IMF blamed the problem on “issues in delivery mechanisms”. This does not bode well but keep your eyes peeled for yet more language about the need to reassure the ‘losers’ from economic globalisation … anyone say the word ‘Trump’? Civil society will focus on the IMF’s views on tax at the upcoming meetings, especially tax reform (including the subsidy question above as well as who bears the burden of sales and VAT taxes), as well as debt resolution. During the week a large group of NGOs will host a seminar on why the discussions over the need for debt restructuring mechanisms need to be renewed. This comes in the wake of efforts to ensure UN processes, such as the Financing for Development summit in July 2015 and its follow-up meetings and the July UNCTAD summit do not get side-lined further. Otherwise expect more focus from the Fund on its PR-friendly research and statements, especially from the managing director, on why inequality, especially gender inequality, is bad for growth (that they’re bad for people may be implied to be secondary). Indeed, the IMF has just announced five commitments to honour Christine Lagarde’s personal involvement in the UN’s High Level Panel on Women’s Economic Empowerment, including at the launch of its inaugural report at September’s UN General Assembly. A seminar on this topic will include Rwanda’s minister of finance, Claver Gatete, the chair of ActionAid international, Nyaradzayi Gumbonzvanda, and the IMF’s gender number two, David Lipton. It should provide a first opportunity to test the IMF’s commitment to evolve away from its chequered past on issues of women’s empowerment. The agenda for the annual 2016 International Monetary and Financial Committee meeting, scheduled for 8 October, will be published here along with background papers, as soon as they are available. We will bring you the highlights from the communiqués at the annual meetings – including the G24, IMFC and Development Committee – as they happen. The G20 did not release a communiqué during the meetings. The G24 raises concerns about the global economy, but does not want the measures to address this to starve them of the financing they so clearly desire and believe they need, or attach any cumbersome conditions or safeguards for that matter. The path to growth according to the G24 is primarily through infrastructure investments. They do not forget the importance of better rules on taxation and also endorse greater concessional finance (ODA and IDA) as well the role of private money. They urge for continued governance reform at the Fund and Bank, so their voices do not remain on the outside. The IMFC’s technocratic statement was surprisingly cautious, given the underlying concerns this week set out in the IMF’s own research about faltering global growth, heightened financial sector risks and above all fears over the the tottering political legitimacy of the institutions for global economic governance, of which IMF is at the heart. Though the IMFC stance on the need for growth-enhancing policies is as clear as it has ever been, saying “All countries should use fiscal policy flexibly and make tax policy and public expenditure more growth-friendly”, a similar level of consensus on how to do this has still not been achieved. The Development Committee once again raised concerns over continued slow growth, calling for the World Bank and the IMF to reinstate support for multilateralism. It welcomed the Bank’s ‘Forward Look’ report and gave its sign of approval for an “ambitious” IDA replenishment, including a new private sector window, and for the new environmental and social framework, despite years of civil society protest. Further discussions are expected on the new ‘dynamic formula’ for Bank shareholding. The World Bank lists events taking place in the Bank and IMF’s Civil Society Policy Forum here. Below we will post notes, minutes and recordings of sessions attended by the Bretton Woods Project, so check back often as the week progresses. The notes are aimed at providing a general idea of conversation and discussion at the annual meetings and are not necessarily complete or a fully accurate representation of participants’ remarks. To watch back any official seminars go to the World Bank video portal or Guide to the 2016 Annual page, or the IMF seminar page, all have links to videos. The 2016 annual meetings in Washington took place in a context of continued slow world economic growth and trade, with the IMF and World Bank presenting themselves as the saviours of the economic order by supporting increased global trade. Given memories of the IMF and Bank’s push for trade and growth in the 80s and 90s, many were wondering ‘trade and growth for whom?’ Certainly the unquestioning belief that the private sector will discover its development mandate and become instrumental in ensuring the SDGs are achieved was alive and well in DC during the week. President Kim’s curt dismissal of community concerns at the town hall meeting seemed to validate concerns raised by staff throughout his first five-year term about his competence and indicate that the Bank will continue to push its agenda with little concern for the opinions of the communities it is mandated to serve. As we covered, president Kim was reappointed unopposed by the Bank’s board for another five-year term in a severely-criticised process that united civil society, former and current Bank staff in opposition – no easy task. As has been widely publicised throughout Kim’s first term, staff have expressed grave concerns about Kim’s leadership style. Perhaps emboldened by his coronation, president Kim allowed what many staff would claim are his true colours to shine through during the CSO town hall meeting. Kim’s appalling performance during the meeting, in which he was dismissive of concerns raised by community members, was ‘the talk of the town’ and not only among the CSO community. Now reappointed, president Kim seems ready to disregard what he seems to think is a docile and ineffective civil society and to frame any Bank shortcomings as rare events that in no way represent the systemic problems identified by affected community members world-wide. Given the persistent concerns raised by civil society about systemic problems, such as the Banks unwillingness to live up to its human rights obligations and ensure effective protection of communities through robust safeguards, it will be interesting to see to what extent civil society will opt to engage in a process that disregards their opinions and concerns. Perhaps Kim and Lagarde will have an opportunity for a much more intimate dialogue at the next town hall meeting. Civil society was not the only group concerned with the issue of developed-country influence at the Bank and Fund, as evidenced by the monopoly of leadership in the both institutions and shareholding arrangements. The G24, in its communique, repeated its call for greater representation of emerging markets and developing countries in both, including by reshaping the shareholding structure of the Bank, something that is currently under consideration. While president Kim and managing director Largarde were no doubt very content in their reappointments, both were also expressing serious concerns about the continued woeful state of the world economy as outlined in the latest World Economic Outlook report which highlights continued slow-growth in world trade and weak demand. It was clear from both official panel discussions and ‘corridor exchanges’ that there is significant anxiety about the growing anti-globalisation populist movements. The Bank and Fund spent the week in Washington presenting themselves as the saviours of world trade and thus, they argue, the world economy and the poor and marginalised, by highlighting their commitment to a ‘new, kinder’ neoliberalism, as witnessed by the release of recent IMF research papers, the prominent place given to perils of inequality during this year’s annual meetings, and the release of the Bank’s recent report on poverty and shared prosperity. While civil society has certainly welcomed the focus on and rhetoric about inequality, it continues to call for coherence between Bank and Fund research and actions on the ground. Civil society also expressed its continued concern about efforts to boost global trade through the expansion of mega infrastructure projects arranged through very problematic and often very costly public-private partnerships. The disparity between the Bank’s rhetoric and its actions was highlighted by, among others, yet another report on the negative impact of IFC investments in financial intermediaries, which continue to result in significant negative human rights and environmental impacts. The IFC’s involvement in funding coal projects in the Philippines, for example, in contravention to stated Bank policy, was heavily criticised by civil society. Affected communities can only hope that the arrival of the new CEO at IFC with substantial development experience will finally result in the alignment of IFC investments with its development mandate. Civil society continued to raise criticisms of the recently approved new safeguards framework, with little interest from the Bank in revisiting the issue. The Bank continued to argue that, however flawed, the new framework is ‘better’ than the safeguards it replaced and, at any, rate, this is the best that can be done – with shareholders happily blaming each other for the intransigence. Civil society have now turned its attention to demanding input into the guidelines that will be used to implement the new system and have renewed calls for a coherent safeguards policy that applies to all Bank instruments, including development policy loans and Program for Results financing. This year’s meeting took place as the Bank sought a substantial increase to the capital of its low-income arm, the International Development Association (IDA) component. It seems that the Bank has gotten its wish and that when the replenishment process is completed later this year, it will result in a substantial increase in resources. While there was strong support among civil society for the Bank’s strengthened support to poor countries under IDA, concerns remain. While uncritical support for IDA’s new ‘private sector window’ was the norm among major stakeholders, some wondered out loud about IFC’s ability to operate effectively in much more difficult and complex environments, particularly given its track record in ‘less challenging’ contexts. IFC’s reaction seemed a mix of fear and delight. Efforts on the IMF side of the annual meetings can all be linked to the three interlinked challenges animating this week – globalisation’s legitimacy problem, the very real concerns over the deteriorating economy and, of course, what the Fund is preparing to do about it. This explains the announcement at the meetings of a contribution of $340 billion by 25 IMF members as bilateral creditors to the Fund to “maintain the IMF’s lending capacity”, to replace a $393 billion agreement from 2012 due to expire this month which had not been drawn on but was a significant element of the IMF’s lending ‘firepower’. The Fund’s lending is about to be increased, as we highlighted prior to the meetings, in Egypt most notably. As Max Lawson, attending the meetings on behalf of Oxfam, noted it remains to be seen whether the IMF’s fine words on inequality, labour rights or indeed gender equality will change much for people on the ground. Of course, the situation in Greece is treated like an outlier, though the years-old tussle between the IMF and its eurozone lending partners is no closer to being resolved and may indeed worsen, with little benefit to Greek citizens despite the IMF’s greater realism about whether Greece can or even should attempt to repay its debts. Notable by their near absence in terms of discussion were many topics civil society would like to see given more, not less, prominence. Only the G24 discussed the ongoing work on tax referred to as BEPS – base erosion and profit shifting – that had been led by the OECD but morphed at last April’s spring meetings into the joint IMF, World Bank, UN and OECD ‘Platform for Tax Collaboration’. Though it has published, including to the G20, the work still seems rather fragmented amongst the partners (with the UN noticeable by its strange ‘silent partner’ role). Similarly, though concerns over indebtedness and crisis only seem to be growing, discussion of the longstanding calls for more developed debt resolution models or action to challenge the risk from vulture funds seems utterly absent, except again amongst CSOs and some developing country groupings. Want to receive a summary of the events after the meetings? Sign up here to receive the Bretton Woods Project Alert.